Herring's opinion was requested by Del. Mark Levine, D-Alexandria. Levine opposes having a road named after Davis, the president of the Confederate States of America. "In Arlington County, one of the most diverse and progressive localities in the nation, we are saddled with a primary highway that honors a racist traitor and slave owner who led the fight to take up arms against our nation in order to preserve the brutal system of slavery,'' Levine said in a newsletter to constituents. Several years ago, the attorney general's office issued an advisory opinion saying city governments had the power to rename state highways but county governments didn't. Last year, legislators killed a bill to authorize local governments to rename highways in their jurisdictions. To change the highway's name in Arlington County, Levine took things into his own hands. He found a loophole in a footnote to transportation legislation that the General Assembly passed in 2012. That legislation deleted a line in state law prohibiting the Commonwealth Transportation Board from changing the names of "highways, bridges or interchanges as have been or hereafter be named by the General Assembly." "Accordingly, it is my opinion that the Commonwealth Transportation Board may change the name of those portions of Jefferson Davis Highway located in Arlington County, provided that its Board of Supervisors adopts a resolution requesting the renaming,'' the opinion said. The Virginia General Assembly's response was to name Highway 1 as the Jefferson Davis Highway, stretching from Washington, D.C., to the North Carolina line. Today, Jefferson Davis Highway also can go by other names, such as U.S. Route 1 and Route 18. 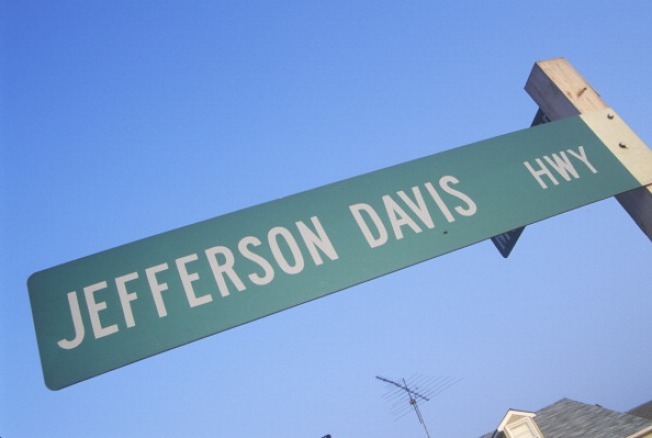 Some people want to keep the name as Jefferson Davis Highway. More than 600 people signed an online petition saying renaming the road would be "a slap in the face to U.S. soldiers as a whole and should not be permitted to happen.'' However, more than 4,300 signed a petition supporting the name change. Levine said Arlington County supervisors could ask for the name change this month - and then the request would go to the Commonwealth Transportation Board. "If all goes well, Arlington street signs could be changed as early as this summer,'' he said.